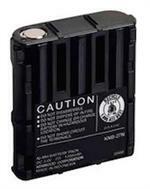 The FRS-009-NH is a 3.6 volt 1650mAH NiMH battery pack for Motorola FRS radios. Replaces original part #s 53615, HKNN4002, KEBT-071. Fits radios such as T5000, T5400, T5500, T5600, T5700, T6000, TT6500, T8500, T9500, and many more (see x-ref list). 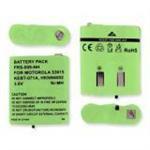 AP-4002H : 3.6 volt 1650mAh rechargeable LONG LIFE Ni-MH battery for Motorola FRS radios. Replaces original battery #s 53615, HKNN4002, KEBT-071. See x-ref for FRS model compatability. The FRS-003-NH is a 4.8volt 700mAh rechargeable Nickel-Metal Hydride battery. Size: 1.73"L x 1.61"W x 0.43"H. Replaces original battery #s COBRA FA-BP, MAXON ACC511. See x-ref list of compatible radio models. FRS-004-NH : 4.8 volt 700mAh rechargeable Nickel-Metal Hydride battery for MIDLAND FRS. SIZE: 1.71"L x 1.61"W x 0.44"H. Replaces original # MIDLAND BATT4R. Fits MIDLAND radios G223, G225, G226, G227, G300, G300M, G500, GXT-200, GXT-250, GXT-255. HNN9056 : 7.5 volt 600mAh rechargeable Ni-Cd battery pack for Motorola P10, P50, P60, HT10, SP10, Spirit series, etc. Replaces NTN9044A, NLN9044, NTN9056A, NLN9056, HNN9044, HNN9056, etc. Battery recharges (while inside the radio) in desktop chargers. HNN9044 : 7.5 volt rechargeable Ni-Cad battery for Motorola P10, P50, P60, HT10, SP10, Spirit series, etc. HNN9044 : 7.5 volt 600mAh rechargeable Ni-Cad battery pack for Motorola P10, P50, P60, HT10, SP10, Spirit series, etc. Replaces NTN9044A, NLN9044, NTN9056A, NLN9056 etc. These battery packs are MADE IN THE USA by BATTERIES AMERICA. FRS-005-NH : 6.0 volt 700mAh rechargeable Nickel-Metal Hydride battery for MIDLAND FRS. RATING : 6.0 Volts 700mAh. SIZE: 1.92"L x 1.7"W x 0.72"H. Replaces original battery #s MIDLAND BATT5R. See x-ref list for radio compatability. 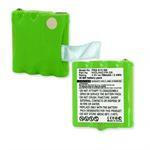 KNB-27h: 3.6 volt 1300mAh NiMH battery for KENWOOD. Fits TK-23130, TK-3131, etc. Replaces KNB-27, KNB-27N, KNB27H. Re-charges with original Kenwood brand Ni-MH chargers. HNN9044h : 7.5 volt 1600mAh Long Life rechargeable Ni-MH battery for Motorola P10, P50, P60, HT10, SP10, Spirit series, etc. HNN9044h : 7.5 volt 1600mAh long life rechargeable Ni-MH battery pack for Motorola P10, P50, P60, HT10, SP10, Spirit series, etc. Replaces NTN9044A, NLN9044, NTN9056A, NLN9056, HNN9044, HNN-9044, etc. 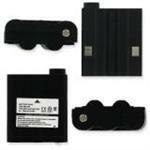 SNN5571B: 3.7volt 1200mAh Li-ION battery for Motorola CLS1100, CLS1110, CLS1114, CLS1410, CLS1450CB, CLS1450CH, VL120, VL50 etc. Replaces OEM motorola SNN5571, SNN5571A, SNN5571B. 20 pcs of HNN9044 : 7.5 volt 600mAh rechargeable Ni-Cd battery packs for Motorola P10, Motorola P50, Motorola P60, Motorola HT10, MotorolaSP10, Motorola Spirit series, etc. They replace NTN9044A, NLN9044, NTN9056A, NLN9056, HNN9044, HNN9056, etc. The FRS-011-NC is a 3.6 volt 300mAh rechargeable Ni-Cd battery for COBRA PR145, PR150, PR155 radios. Replaces original Cobra battery # GA-BP3. FRS-012-NH: 4.8 volt 800mAh rechargeable NiMH battery for TriSquare TSX100, TSX300 FRS radios. FRS-012-NH : 4.8 volt 800mAh rechargeable NiMH battery for TriSquare TSX100, TSX300 FRS radios. FRS-013-NH : 4.8 volt 700mAh rechargeable NiMH battery pack for Midland FRS (M24, M48, M48 PLUS, M99, M99 PLUS, PMR466, SM400). Replaces original battery #s PB-G6 and PB-G8. The FRS-010-NH is a 3.6 volt 700mAh rechargeable NiMH battery for Motorola FRS radios such as FV300R, FV700, FV700R, FV750RCAMO, MH230R, SX500, SX600, SX600R, SX800, SX900, SX900R, T8550RCAMO, T9500XLR, T9550XLRCAMO, T9580RSAME, T9680RSAME. FRS-006-NH : 4.8 volt 700mAh rechargeable NiMH battery for MIDLAND FRS radios. Fits LXT-276, LXT- 314, LXT-317, LXT-318, LXT-319, LXT-320, LXT-322, LXT-323, LXT-324, LXT-330, LXT-335, LXT-340, LXT-345, LXT-376, LXT-385, LXT-420, LXT-440, LXT-460, LX-490. 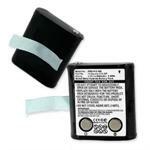 FRS-007-NH : 4.8volt 700mAh rechargeable Ni-MH battery for MOTOROLA & MIDLAND FRS radios. 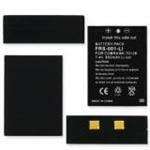 Replaces original battery #s MIDLAND BATT8R, MOTOROLA KEBT-072, M370H1A. Fits these radios: KEBT-072, M370H1A, SX700R. 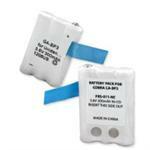 FRS-001-LI : 7.4 volt 850mAh rechargeable Li-ION battery for COBRA FRS radios. 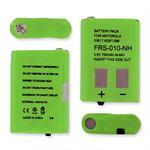 FRS-001-Li: 7.4volt 850mAh rechargeable Li-Ion battery. Fits COBRA FRS. Replaces original battery #s : COBRA BK-70128, MN-0160001. See x-ref for Radio model compatability. NOTE: Picture shows various angles of battery. Pricing is for 1 battery pack.